Mike Shinoda, a co-founder of Linkin Park, has shared a photo of the band only days after the late Chester Bennington joined. Shinoda posted the throwback photo of the fresh-faced band on his Instagram account last night in tribute to frontman Bennington who was found dead on Thursday. We had just told Chester that we wanted him to join the band. He said he was ready to move out from Arizona to L.A.
We went to a pizza place near UCLA to hang out and talk about what to do next. The band was called Xero at the time, and we probably had less than a half a dozen songs. No flame tattoos yet, no red hair yet, most of us were still in college. 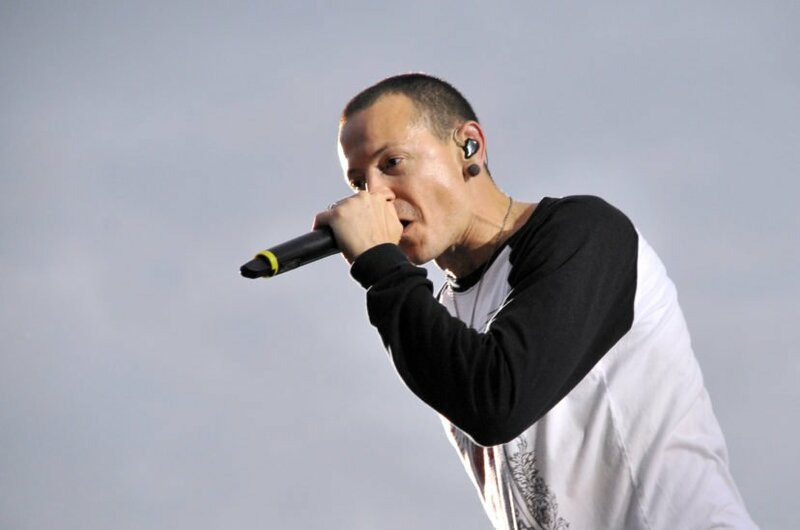 Shinoda founded the band with his high school friends in 1996 with Bennington joining later as a lead vocalist. Fans have flooded Shinoda’s Instagram post with comments of support saying ‘stay strong man’ and ‘remember we are always with you and love you’. The band have since cancelled their One More Light tour, which was due to start later this month.